While the number of Virtual Reality (VR) headset users grows by the day, much of what is out there as the best virtual reality headsets for 2016 remains relatively unknown to many consumers. We live in a world of wearable technology, a technology birthed only several years ago year is up on its feet and running. The technology business is thriving with many of in the virtual reality business doing their best to outdo each other. The completion has thus availed many options for the virtual reality headset consumers. 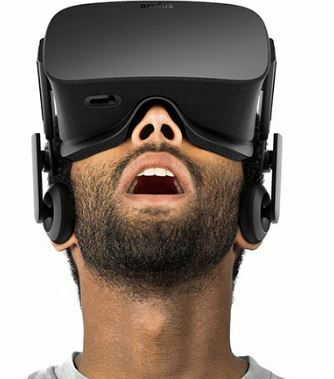 Let’s take a look at some of the best VR headsets in the market for 2016. Occulus couples great tools with advanced technology to avail the best virtual reality experience there is in the market. It comes with a motion sensor, headset, remote, USB cables, and HDMI. The vision quality in the Rift is spectacular and the motion sensor is highly advanced to support quick movement for an all-rounded visual and gaming experience. Bringing in the joy of having a high resolution display, the HTC Vive is among the big names in the virtual Reality business. It comes packing 32 high precise motion tracking sensors, has a wide field of view, and a front-facing camera. The camera can be set to add real-world objects to the overall user experience. The only thing is that the Vive is an upmarket product and one that needs a powerful gaming PC for the user to have and enjoy the full experience of the headset. HTC gives a list of the best PCs that are suited to use with the Vive. Samsung has stemmed its name in the smartphone business and opted to ride of that success when introducing its VR headsets. The Gear VR thus is one of the best virtual reality headsets of 2016 in the market. The headset run in collaboration with the Occulus technology yet offers a better resolution than the Occulus Rift. The Gear VR is compatible with many of the latest bestselling Samsung Smartphones such as the Galaxy Note 5, the Galaxy S6, Galaxy S6 Edge, Galaxy S7 and Galaxy S7 Edge. Also called Project Morpheus, the Song PlayStation VR is the name making round in the world of PC gaming. The VR headset also work with PlayStation 4 and can support advanced games with insane graphics. Exploiting on Blue LED light Technology, Sony went out of their way to ensure that what they make is something with and outstanding ergonomic design that befits its easy and comfortable use. The LG 360 VR was intended for the LG G3 Smartphone users. However, LG stepped up its game to ensure that the 360 VR also works with the upcoming G5 Smartphone. Those with the G3 smartphone have to slide their phones into the VR headsets, but things will be different with the G5. Users with the G5 Smartphone will connect their phones to the VR headsets using a USB cable. Star VR is the brainchild of Starbreeze Studios. The headset is double screened each being 5.5 inches wide and offers an 1100 field of view. It promises to be one of the best virtual reality headsets for 2016 because it is run by QR codes. Gamers can use the QR codes to incorporate other different accessories to it for a better and more enhanced experience.